Peace of mind is valuable. It is one of the reasons why we include such a variety of warranty options for our sensor products. We understand that choosing the proper measurement sensor device can mean the difference between accomplishing your goals or going back to the drawing board. 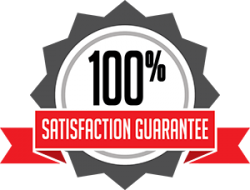 For this reason, we are now offering a 100 percent satisfaction guarantee on all of our standard sensors. If you are not fully pleased with the performance of SensorData Technologies’ products, simply send them back within 60 days. You will then be contacted by a customer service representative who will assess your claim and offer you your choice of a new replacement part or a free repair service at our discretion. Our research and development teams spend countless hours crafting standard and custom sensor designs that deliver optimum performance. The confidence we have in our sensor products comes from over 25 years in the sensor industry. Whether it’s wireless sensors, force transducers, strain gauges, load cells or other standard sensors, SensorData Technologies provides you with nothing but the best! The care we exercise when dealing with customers is only improved from your feedback. Understanding what we are doing right, or wrong, is invaluable when it comes to supporting future customers. If the sensor you purchased exceeded your expectations, let us know. If our sensors left you disappointed, tell us why! No matter the circumstance, the feedback we gather from our customers is extremely important to us. Familiarizing ourselves with constructive comments allows us to continually refine the over 25 years of experience we have in the sensor industry. If you wish to contact us and leave a comment or claim, you can reach our Shelby Township, MI headquarters by calling (586) 739-4254. SensorData Technologies also handles digital inquiries that can be directed to [email protected] or submitted through our online customer survey. SensorData Technologies, Inc. products are warranted to be free of defects in material and workmanship for one year from date of shipment from the factory. SensorData Technologies obligation will be limited to repairing, or at their option, replacing product(s) which, upon verification, prove to be defective, at the factory in Shelby Township, Michigan, USA. SensorData Technologies, Corp. extends this warranty only upon proper use of the product in the application for which intended and does not cover products which have been modified without the written approval of SensorData Technologies, Corp., or which have been subjected to unusual physical or electrical stress, or upon which the original identification marks have been removed or altered. Transportation charges for materials shipped to the factory for warranty repair are to be paid by the shipper. SensorData Technologies, Inc.will return the items repaired or replaced under warranty prepaid. No item shall be returned without prior authorization from SensorData Technologies, and must have the factory assigned RMA number clearly marked on the external shipping label for acceptance by SensorData. Whenever the design of the equipment to be furnished or the system in which it is to be incorporated originate with the Buyer, the manufacturer’s warranty is limited specifically to matters relating to furnishing of equipment free of defects in material and workmanship and assumes no responsibility for implied warranties of fitness for purpose or use. Entire contents Copyright – ©SensorData Technologies, Inc.